This post has been sponsored by Amazon Studios. 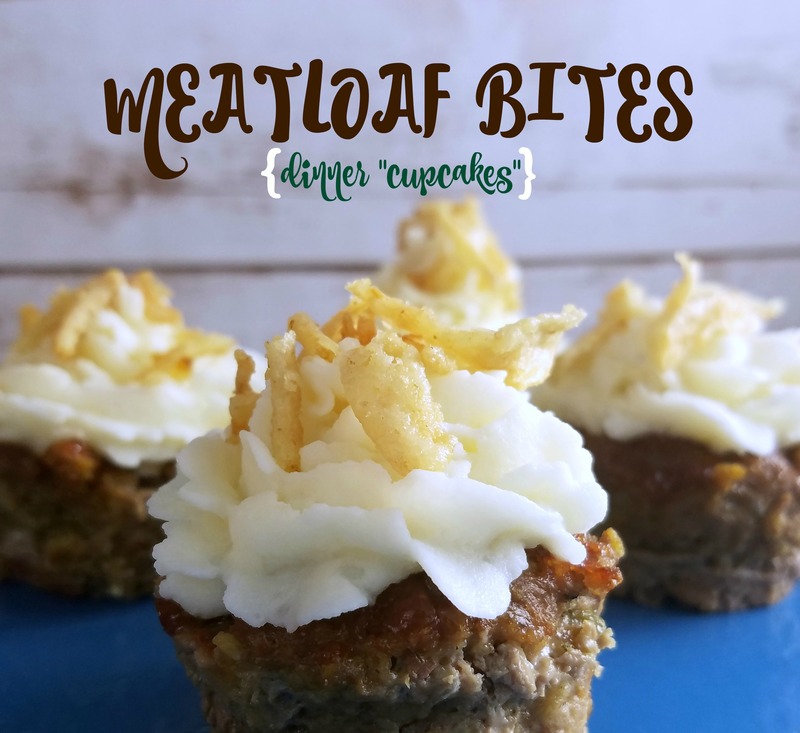 I love when things in our daily life inspire our crafting time. This week, the Amazon Original Kids’ Series show, Stinky & Dirty, inspired us to make a fun craft using an empty water bottle. In this series, dynamic duo Stinky, the garbage truck, and Dirty, the backhoe loader, enjoy everyday adventures that prove how resourcefulness and teamwork can solve just about any problem. I love that they give kids ideas for reusing things instead of throwing them away. There are so many things you can make with an empty water bottle but my boys and I used it to make spelling practice more fun by turning it into a game. We created an I-SPY ABC bottle! 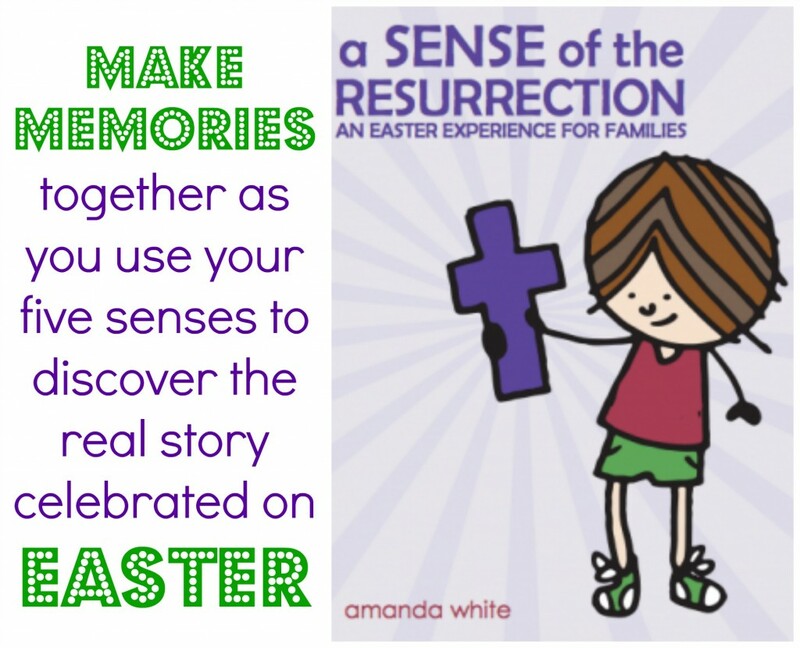 This craft is super easy to do and fun for kids to help make. 1) Make sure your water bottle is dry inside and take off the outside wrapper. 2) Fill the bottle a quarter full with rice. 3) Add in half of the beads. 4) Repeat steps 2 and 3 until your water bottle is 3/4 of the way full. 5) At this point you can super glue the lid on if you feel your children may open it, otherwise just put the lid on tightly. 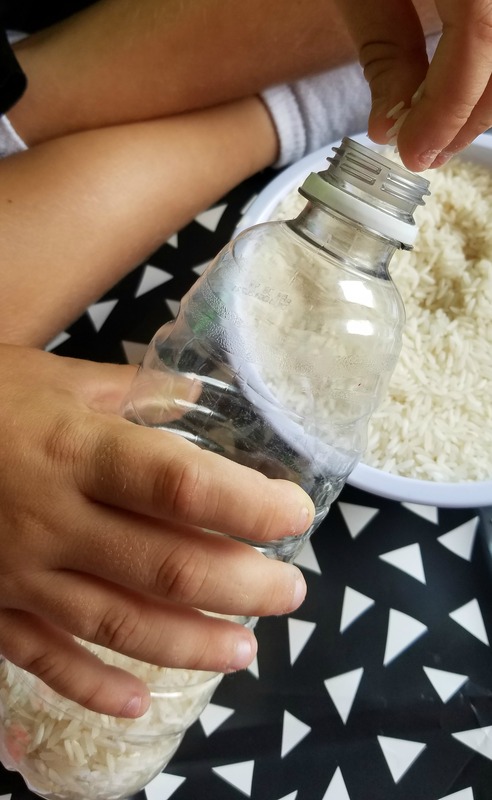 Then, have children shake the water bottle to mix the rice and beads. There are a number of ways to use this I-SPY bottle: For younger children you can have them find certain letters by saying the letter you want them to find, say the sound the letter you want them to find makes or have them name letters and sounds as they find them. Older kids can be asked to find the letters that spell words. 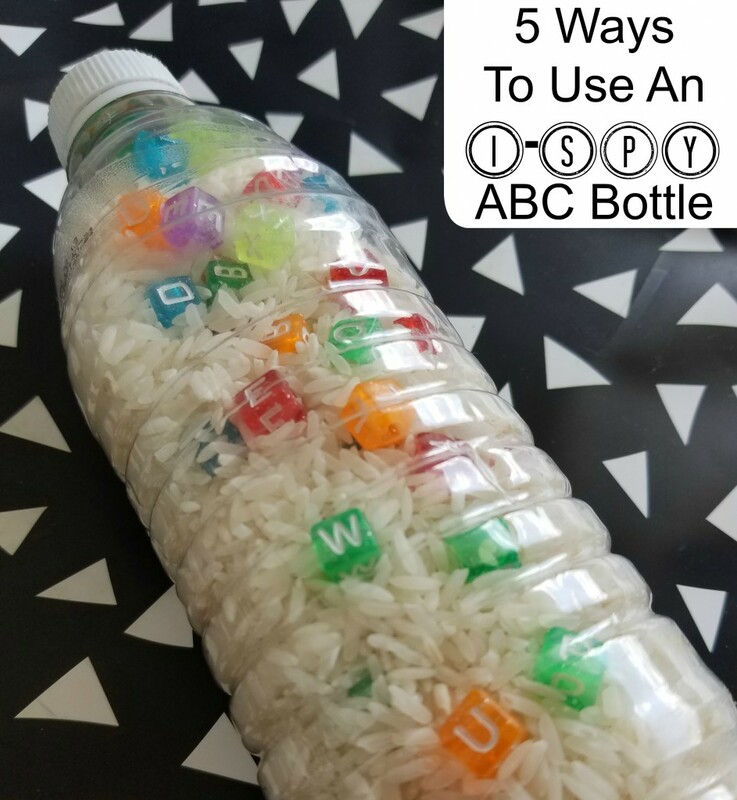 Children can also find a letter in the ABC I-Spy bottle and then find something in the room that starts with the letter. 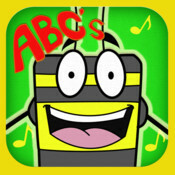 You can find out more about the app on their website here or download ABC’s with Bingzy Bee: Phonics from the app store here.